25 Newquay Tretherras students have signed up to go on a 4 week expedition to Kenya with CAMPS International. For the students in Year 10 and 12, not only will this be an experience of a lifetime, but they will be making a difference through conservation and community projects in various locations throughout Kenya. The trips offer the students the unique chance to live and work as part of the community, helping local adults and children improve their standard of living in a sustainable way. Newquay Tretherras students will be involved in all kinds of work – from building schools and repairing houses to expanding waterholes for wildlife and building elephant deterrent fences. Students will be involved in projects that will have a long-term impact on the communities they will work with as well as developing their practical skills and experiencing new cultures. Year 10 student Max Lambert commented “I cannot wait to travel and get out into the world!”, Year 11 student Lia Spurling added. “I really want to help other people and really want to make a difference”. The biggest challenge for students comes before they depart in July 2019 where they face the momentous task of raising £4000 each. 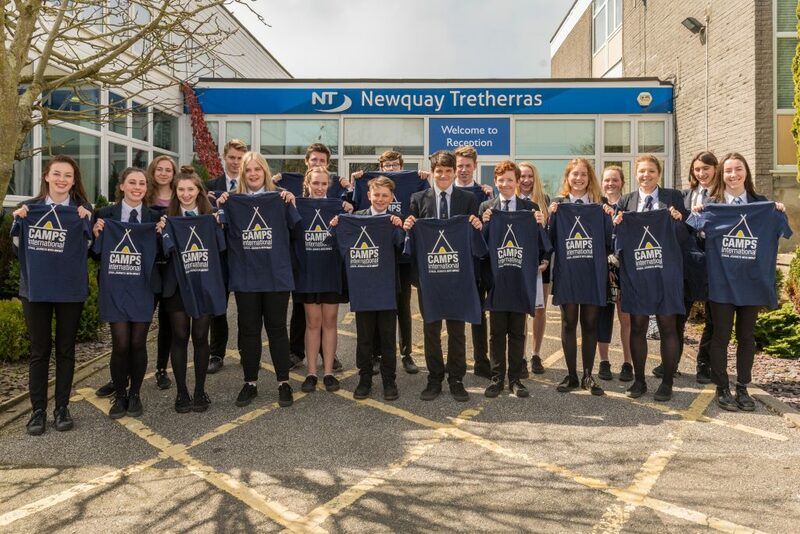 Newquay Tretherras is extremely proud that 25 students have committed to raising this money and they are all tackling the challenge with immense enthusiasm, coming up with inventive ways to raise the funds. Many events have already started such as car boot-sales, car washes and discos. One student, Katie Whitbread-Abrutat, is planning a huge walk from Land’s End to Perranporth.